Please mention this Eden site when booking. Richard & Pauline welcome you to Hunter's Moon, a spacious modern house situated in the picturesque village of Polgooth, the village pub is 5 minutes' walk away. All our bedrooms are en-suite and guests have their own breakfast room which opens onto a large conservatory lounge with lovely views across the valley. 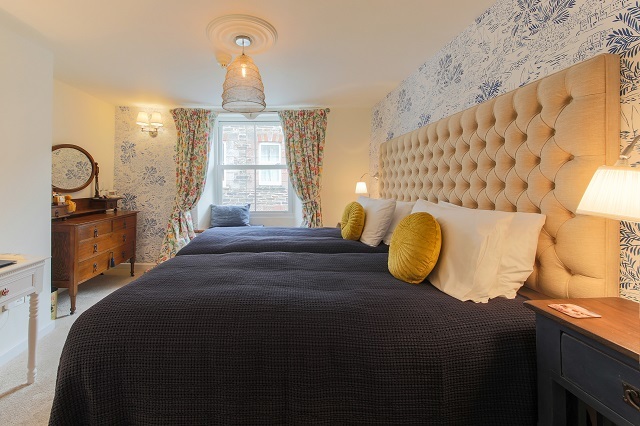 Newly decorated and furnished to a high standard, our bedrooms are either double or twin, and all are en suite, three with showers and one with bath and shower. Two of the rooms have super king size beds and the option of an additional bed to become a family room. We offer a choice of freshly prepared traditional English breakfast along with juice, fruit and cereals, or a continental style option. We can also provide vegetarian alternatives. Hunter’s Moon is a non-smoking house. Tariff from £36 pppn based on two sharing. Discount for stays over 4 nights. Open all year. For more information please go to our web site. 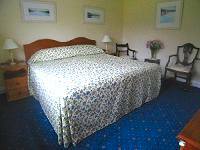 Luxury accommodation by the sea! Gold award and a breakfast award. 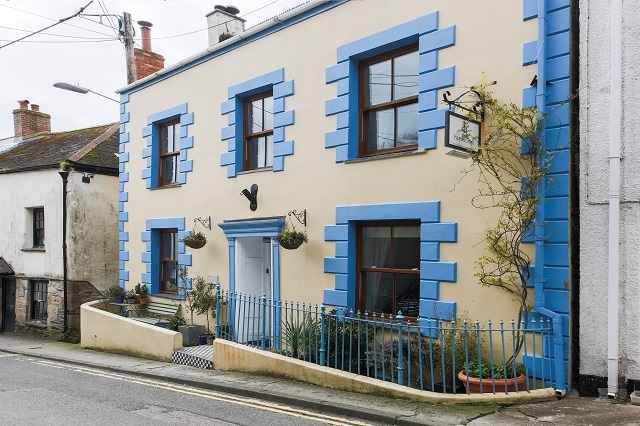 Portmellon Cove Guest House is a 5 star, silver-award winning, luxury, licensed establishment overlooking the sandy beach of Portmellon, near Mevagissey. 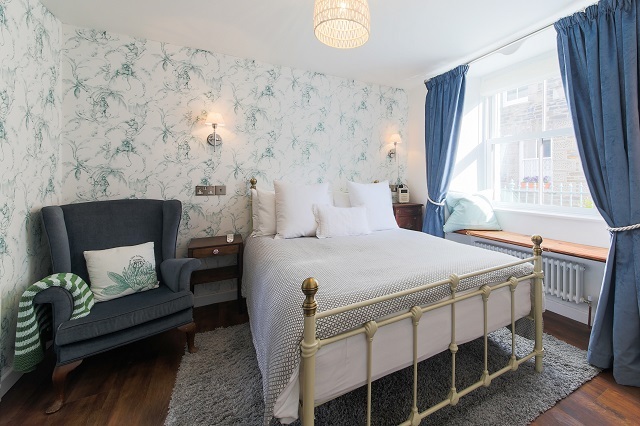 All three en-suite rooms (four-poster, king-size double and twin/double) have panoramic sea views, TV/DVD players, wireless internet and a private door into the beautiful garden. 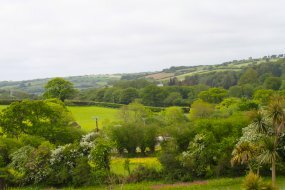 Close to the Eden Project, the Lost Gardens of Heligan, coastal path and cycle-ways it is the perfect location for exploring Cornwall whilst enjoying a peaceful holiday. All rooms from £66.00 to £110 for bed and breakfast depending on season. 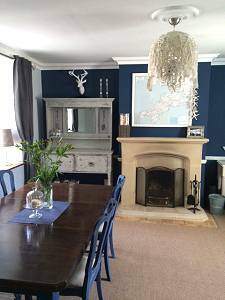 Stowford is a large attractive 1930s detached house set in its own gardens with beautiful views overlooking the Pentewan Valley. 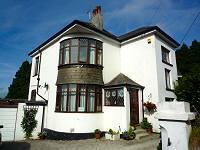 It offers a warm welcome to its guests in a comfortable, homely atmosphere. 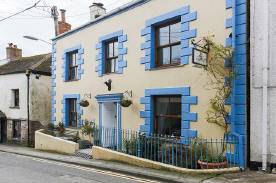 The house is furnished and decorated to a high standard and provides two bedrooms for its guests. 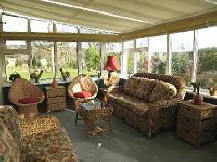 Both have a colour television, tea/coffee making facilities and are centrally heated. 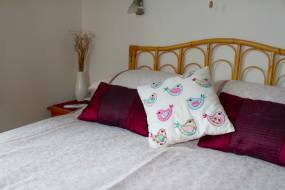 Private bathroom/shower facilities are provided for the guests as is a sun lounge and patio overlooking the garden at the rear of the property. A full English breakfast or vegetarian option is served in a pleasant dining room overlooking the garden. Stowford is a non smoking guest house.